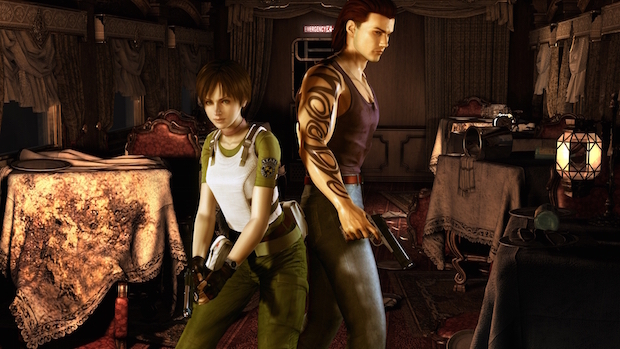 Capcom has announced that a remastered version of Resident Evil 0 is in development for PS3, PS4, PC, Xbox 360 and Xbox One. It’s slated to arrive in “early 2016”. According to the publisher, the game’s original Director, Koji Oda, is returning to oversee development of the remastered version alongside some other original team members. In the vid below you can see Oda broadly discuss the game, while engaging in some endearingly gawky stuff with a green herb. So then, Resident Evil 0. It’s not Resident Evil 2, which many players had been hoping was next on Capcom’s remaster list, but it’s still a well regarded game in the community. It’s a prequel, following the adventures of S.T.A.R.S officer Rebecca Chambers and convict Billy Coen. Spoilers: there’s also zombies.